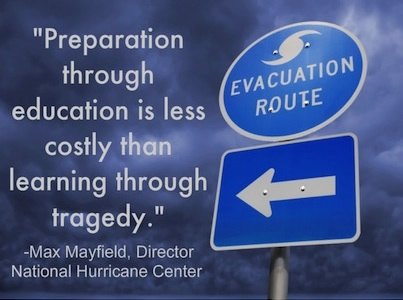 Create a video that shows how properly preparing for a hurricane can be a valuable tool in a way that will entertain viewers. Upload the video to your YouTube account. Send the link of your video to marycgrella@gmail.com and we will add it to our submissions playlist.